platforms including film, television, new media, and publishing. clients have included Luna, PBS, Women in Film, and K-Swiss among others. and the Young Entrepreneur Council. Lisa currently pens a column for ad:tech in addition to her weekly blog. 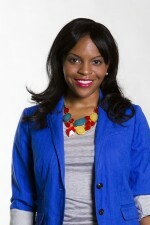 Learn more about Lisa at www.lisanicolebell.com.